This listing is for 1, 17 oz. 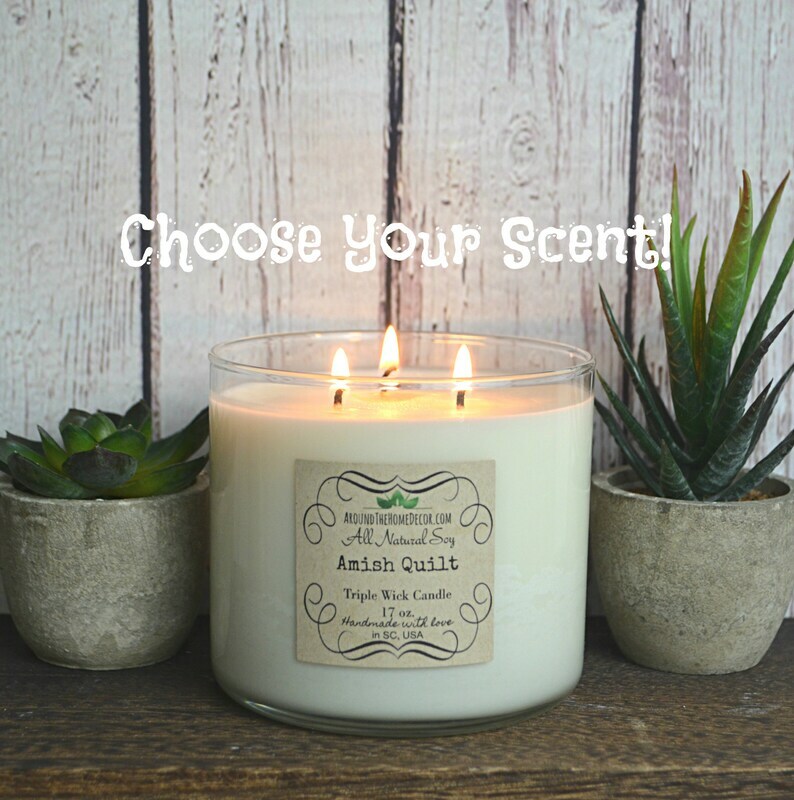 Soy Candle with your choice of Fragrance. Name of fragrance in photo is just an example, but may be ordered. 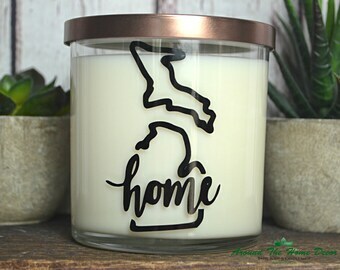 This candle features the 3 cotton braided wicks to enhance the ambiance of your candle with more light and flicker. Candle includes a beautiful flat bronze lid visible in the 3rd photo above. Choose from over 100+ fragrances I carry in stock! 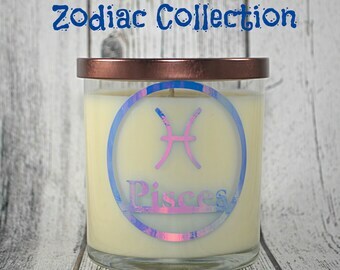 My candles are scented to the maximum amount that is safe for this type of wax and burn cleanly. I've listed a few fragrances available in the options, but feel free to note any fragrance you like when ordering. See Fragrance options below. All of our candles and wax melts are made with 100% Vegan all natural soy wax, grown and produced right here in the U.S.A.! Everything we make is Cruelty-Free. Please leave a note or send a message indicating the fragrance you would like.